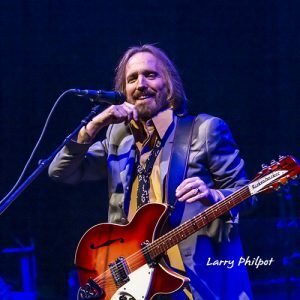 December 9, 2016 — Tom Petty and The Heartbreakers, one of the most iconic bands in American music history, have announced the first dates of their 40th Anniversary Tour, which includes at stop at Klipsch Music Center on Saturday, May 13. Joe Walsh will appear as very special guest. Full tour listing at bottom of page. Tickets for the show at Klipsch Music Center, will go on sale to the general public on Friday, December 16 at 10a.m. local time. Special pre-sales for Tom Petty and The Heartbreakers Highway Companions Club members will begin Wednesday, December 14 at 10a.m. local time. To further commemorate the 40th anniversary of their self-titled debut album, Tom Petty and The Heartbreakers are releasing two companion vinyl box sets featuring their entire studio album repertoire. Both box sets are available today via UMe and Reprise/Warner Bros. All LPs in the limited-edition box sets have been pressed on 180-gram vinyl with replica artwork. Several of these albums have been out of print on vinyl for years and most albums have been re-mastered for this release. Tickets for many of the 2017 concerts will go on sale at Ticketmaster.com, AXS.com, or on the venue ticketing website beginning Friday December 16th at 10 am local venue time. Premium Ticket Packages will also be available through the ticketing websites for most locations. West Coast and other dates will be announced in the future. Members of Tom Petty & The Heartbreakers’ Highway Companions Fan Club will be able to participate in special ticket presales allowing them to purchase tickets before the general public.For more information on the Highway Companions Club and the club’s brand new offer for 2017, please visit http://www.tompetty.com/become-member.